World Unite! Lucifer Youth Foundation!, Or WU LYF as they prefer to be known, have announced a run of UK shows for June. The Manchester band, who like to remain anonymous, formed in 2008 and are made up of four friends: Evans Kati, Tom McClung, Ellery Roberts and Joseph Manning. After making a series of early recordings available through their website, WU LYF began a monthly residency at Manchester's An Outlet coffeehouse at the start of 2010, catching the attention of the UK music industry. The band's first gig outside of Manchester came in July 2010 at the MIDI Festival on the French Riviera. Subsequent shows include France’s Transmusicales Festival, Berlin's Transmediale festival and headline shows in Glasgow and London. 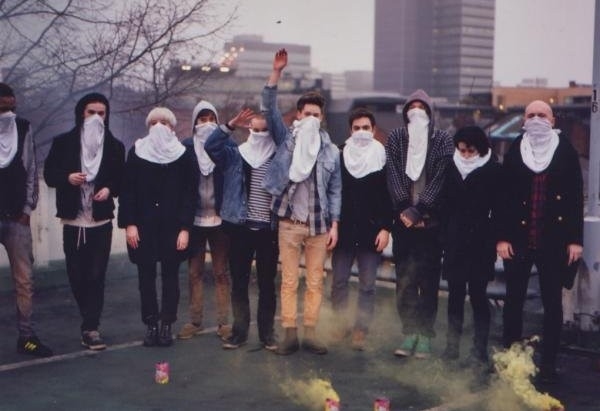 In July 2010 the band announced the formation of the Lucifer Youth Foundation, giving new members an illustrated bandit mask and a 12” LP featuring their tracks 'Concrete Gold' and 'Heavy Pop'. The band started recording their debut album in November 2010. Deciding against the conventional studio set up, they instead took over a disused church in Ancoats, Manchester to record their album. The album has been self-produced. WU LYF are believed to have declined all record deal offers and instead plan to release their album independently around the world in the summer of 2011. The former members of Manchester indie-rockers WU LYF have opened about the band’s split, which followed frontman Ellery Roberts posting a public video to YouTube informing his bandmates of his decision to walk away from them. Mystery Manchester rockers Wu Lyf caused panic among their fans after they said ‘goodbye forever’ to the crowd at their gig in London’s Heaven last night – only to tell NME that the show would not be their last, and that it would be ‘boring’ to just say ‘see you next year’. 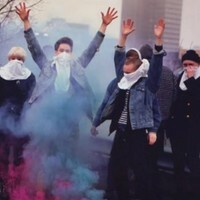 Mysterious Mancunians WU LYF are to return in Spring 2012 for a handful of new live dates. Vampire Weekend have added new dates to their Father Of The Bride Tour. Karen O and Danger Mouse have shared their latest single. The Lumineers will return with a new studio album later this year. Lewis Capaldi will make the step up to arenas in spring 2020. Photo: Matt Sav Tame Impala have released a new single.